Growing up in the ’90s, video games were soaring up in terms of popularity and sales. Super Mario was such a hit then, more so when its racing game was released and my dad went home with a copy of it. I was teary-eyed and couldn’t hide my happiness. The game was simple yet enjoyable – typical go-karting with a bit of a twist. Seeing your favorite Super Mario characters racing and battling for power-ups was a hoot, and I really wished that time that I could do Mario Kart in real life. 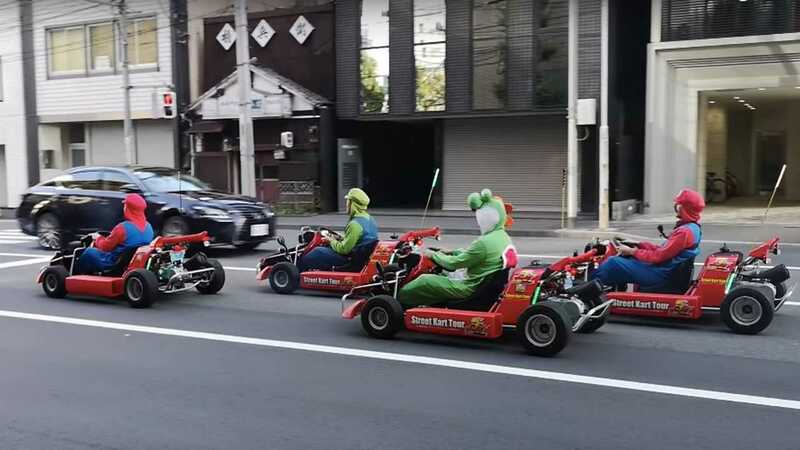 So, when I’ve heard about Superhero Street Go-Karting in Japan, I reckon that it would only be a matter of time until someone dresses up as Mario and do some real-life Mario Kart stint. Such as this video that we stumbled upon on Youtube uploaded by Marchettino. He’s Italian, by the way, which fits the bill as he dressed up as Mario, an Italian plumber. Although the go-karts are specifically marked with “Unrelated to Nintendo” (presumably because of a lawsuit filed by the gaming company this year), a man with a mustache wearing blue and red overalls would be so conspicuous, right? More so if he’s driving next to Yoshi. Nevertheless, it sure looked like a lot of fun even without the power-ups. Karting is the foundation of racing. Agree? 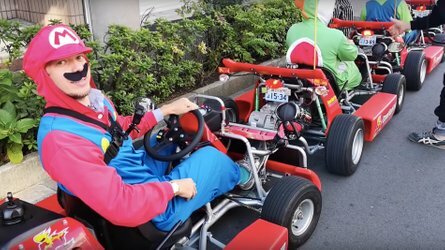 If you’re interested to do some real-life Mario Karting yourself, the superhero street go-karting is facilitated by Maricar in Tokyo. They are renting out costumes to tourists so you could dress up while driving in the streets of Japan’s capital. The prices start at 9,000 yen (around $80) per head, which would tour you around parts of Tokyo from one and a half to two hours. You have to have an international driving permit, though.